Menus on OpenMenu can be used anywhere and everywhere you want your menu to be displayed. It you can embed a YouTube video, you can embed your OpenMenu. 1. 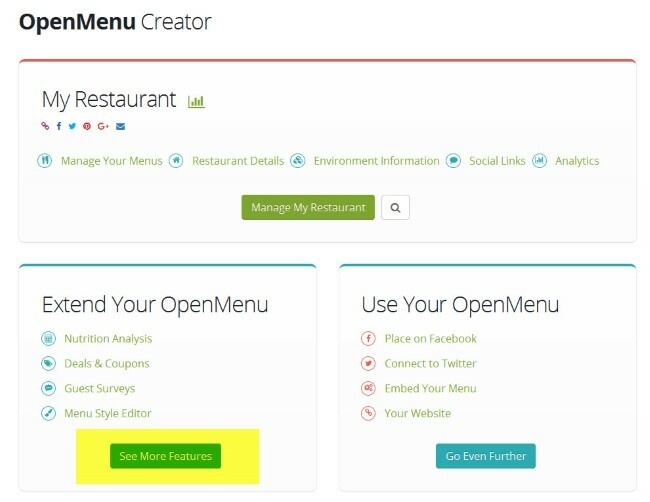 Access the advanced tools for a restaurant by clicking the ‘features’ link located in the Extend Your OpenMenu section or under your restaurant’s name (if managing multiple restaurants). 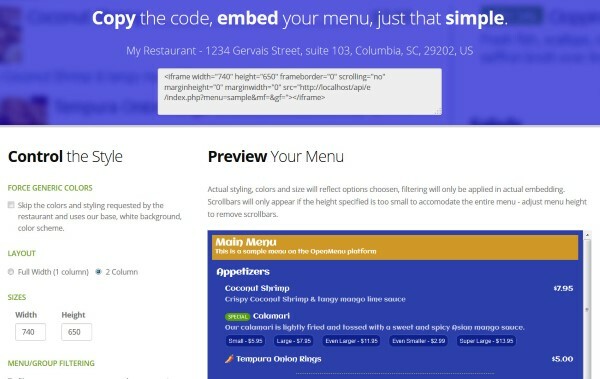 note: you can also located the embedded code for any restaurant by using our restaurant search tool. Adding to any website, including your own, is just that easy.